DALLAS, TX, March 3, 2014 —The Dallas Film Society announced today the first 10 films chosen to screen at the 8th edition of the Dallas International Film Festival, presented by AutoNation April 3 – 13, 2014. Also announced is the debut of Audience Awards sponsored by Lascaux Films. The DIFF 2014 films will not only represent works from America, and Texas in particular, but also films from Poland and Hong Kong and classics from years gone-by — truly an international and timeless offering. SYNOPSIS: An art instructor and an English teacher form a rivalry that ends up with a competition at their school in which students decide whether words or pictures are more important. SYNOPSIS: An ex-con, who is the unlikeliest of role models, meets a 15-year-old boy and is faced with the choice of redemption or ruin. SYNOPSIS: When motocross and heavy metal obsessed, thirteen-year-old, Jacob's increasing delinquent behavior forces CPS to place his little brother, Wes, with his aunt, Jacob and his emotionally absent father, Hollis, must finally take responsibility for their actions and for each other in order to bring Wes home. SYNOPSIS: QUEENS & COWBOYS: A STRAIGHT YEAR ON THE GAY RODEO chronicles a complete season of the International Gay Rodeo Association. Roping and riding across North America for the past 30 years, the IGRA's courageous cowboys and cowgirls brave challenges both in and out of the arena on their quest to qualify for the World Finals at the end of the season. And along the way, they'll bust every stereotype in the book. SYNOPSIS: RICH HILL intimately chronicles the turbulent lives of three boys living in an impoverished Midwestern town and the fragile family bonds that sustain them. SYNOPSIS: One man will risk it all to stop the tar sands of the Keystone XL oil pipeline from crossing his land. Shot in the forests, pastures, and living rooms of rural East Texas, ABOVE ALL ELSE follows David Daniel as he rallies neighbors and environmental activists to join him in a final act of brinkmanship: a tree-top blockade of the controversial pipeline. What begins as a stand against corporate bullying becomes a rallying cry for climate protesters nationwide. SYNOPSIS: Anna, a young novitiate nun in 1960s Poland, is on the verge of taking her vows when she discovers a dark family secret dating back to the years of the Nazi occupation. SYNOPSIS: A storm is heading to the city of Hong Kong, and with it comes another occurrence so destructive, it vows to bring down everything it touches. A crew of seasoned criminals led by the notorious Nam (Hu Jun), armed with high-powered weapons, pulls off another smooth and violent armored car heist in broad daylight in a crowded street. Whoever tries to get in their way, they will show no mercy. This puts the police force to shame and humiliation. PARIS, TEXAS (1984) 30th Anniversary Screening reuniting cast and crew at the Historic Texas Theatre. SYNOPSIS: A man wanders out of the desert after a four year absence. His brother finds him, and together they return to L.A. to reunite the man with his young son. Soon after, he and the boy set out to locate the mother of the child, who left shortly after the man disappeared. One invitation to the Opening Night Screening & Gala on April 3, 2014, subject to availability. Starting March 17, individual tickets and passes can be purchased at the Prekindle Main Box Office in Mockingbird station, and online at www.DallasFilm.org. The Dallas Film Society celebrates films and their impact on society. A 501(c) 3 non-profit organization, the Dallas Film Society recognizes and honors filmmakers for their achievements in enhancing the creative community, provides educational programs to students to develop better understanding of the role of film in today's world, and promotes the City of Dallas and its commitment to the art of filmmaking. 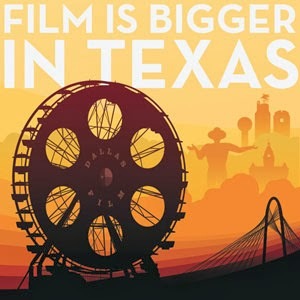 The annual Dallas International Film Festival, scheduled for April 3 – 13, 2014, is a presentation of the Dallas Film Society. In addition to producing one of the largest festivals in the Southwest, the Society produces numerous year round events, screening series and partnership programs with arts organizations around the city. For more information, call (214) 720-0555, or visit www.DallasFilm.org. The offices of the Dallas Film Society are located at 3625 North Hall Street, Suite 740, Dallas, TX 75219.